This entry was posted on June 23, 2008 by IdliDosa. It was filed under Love, Relationships and was tagged with caste, culture, decoration, henna, husband, india, indian culture, indian tradition, indian wedding, life, Love, marriage, mehendi, mehndi, memorable, photoblog, photoblogging, region, relationships, Religion, shaadi, tradition, wedding, wife, wordpress, wordpress photoblog. 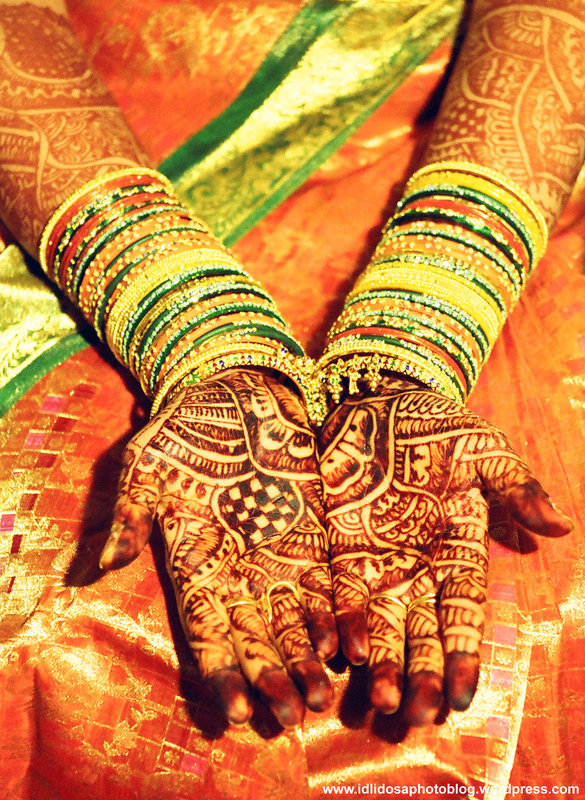 Hey gr8 pic ramya… the mehendi turned out extremely red what more to say about s garu…. Wow! Incredible art form. The color is captured rather well, too. hey it’s really nice..i like indian tradition..
You can just say idlidosa. Thanks!